Now that the park has a name, let’s hope that it’s a good sign that the City will be breaking ground in the near future! We’ll keep you posted as we learn more. Thank you neighbors for your thoughtful contributions for naming the 14th Ave NW park. We’ve put together a word cloud above that shows the combined suggestions collected from last September’s Ballard Summer Parkways event and from your recent recommendations via our Facebook page and email. The larger names in the graphic reflect repeated suggestions (or likes). Here’s a complete list of the suggested names as originally submitted. Naming the park after the #27 Trolley that used to run along 14th Ave NW from Salmon Bay up to NW 70th would be historically and geographically significant. The tracks used to run up the middle of the street, where the medians are today. The long term vision for this park is to run the full mile from Ballard High School to Salmon Bay, like the Trolley Line did. Check out Vintage West Woodland’s recent article about the #27 Trolley here. There used to be a majestic red farmhouse that stood on the SE corner of NW 60th and 14th Ave NW for 98 years. It was the home and office of former real-estate and insurance agent, Augusta Gay. In 2002, this home was moved to a location further east on NW 60th and replaced with the town homes that are there today. Many people in the neighborhood refer to this home by the women’s name (The Augusta Gay House). Naming the park after Augusta Gay would be historically and geographically significant, and named after someone significant to the neighborhood who is no longer living. Here’s a link to a 2002 article about moving the house, a pic of the house today and what the neighborhood map looked like in 1904 (14th was Railroad Ave and NW 60th was E. Baker St). Edith Macefield was a real estate holdout when the Ballard Blocks were developed along 14th Ave NW south of Leary. She was a very strong lady who gathered the support of her community and brought people together by the common goal of doing what was right. They built around her but didn’t break her spirit. Charles Treat was the first Mayor of Ballard before the city became a part of Seattle (due to the need for fresh water). 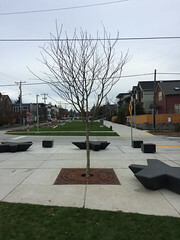 It seems a “treat” to have a new park in Ballard. Named in honor the first settlers of this area, The Duwamish Tribe, who lived off the plentiful salmon and clams in the region. Shilshole is Duwamish for “Threading the Needle”. A play on Leif Erikson, an Icelandic explorer considered by some as the first European to land in North America. Leif is a very well known historical figure in Ballard and a symbol of the strong Nordic Heritage in this community. In keeping with Ballard’s Norwegian heritage, hygge or hyggelig means the good feeling of spending time with family and friends. Shared time that warms the soul. This suggestion was submitted by a neighbor who lives close to the new park whose family is from Norway and she’s lived in Ballard for over 45 years. It’s been fun learning more about the history of our neighborhood and to see some excitement growing about the park. We will be sharing this information with the Parks Department this week and will continue to report back as we learn more! What should we name the Park on 14th Ave NW? It’s been quiet again on the 14th Ave NW Park front, but we did get some encouraging updates from the Parks Dept. this week that the Street Improvement Process (SIP) has started moving forward again and submittal for final approval to Seattle Dept. of Transportation should happen in 3-4 weeks. It will most likely be another 4 months after that before SDOT approves the design and allows permitting, which by this phase, should go more smoothly than in the past. At this pace, we’re looking at hopefully breaking ground near the end of this year (fingers crossed). In the meantime, the Parks Dept. feels confident enough that this Park is going to happen, that they’re ready to start taking names…for the Park that is! What should we name the the Park? Late last week, the Parks Dept issued a news release providing the opportunity for the public to submit a name for the 14th Ave NW Park. The EBCA plans to formally submit name suggestions before the March 31 deadline and would like to hear directly from you, our neighbors, what you’d like to name the Park. We encourage you to share your name suggestion on the EBCA Facebook page comments for this post with a short description of why you think it should have that name. If you like a name someone else suggests, than indicate that by ‘liking’ the comment. You can also email us and we’ll post the suggestion for you. We’ll keep you updated on the naming progress throughout the month! We asked at Ballard Summer Parkways in September what you’d like to name the Park and below is what we collected to help you get the ideas flowing. Please note that the City’s selection committee will be following some specific naming criteria which includes names referencing geographical location, historical or cultural significance, and natural or geological features. A park may be named for a person no longer living (deceased a minimum of three years) who made a significant contribution to parks and/or recreation. 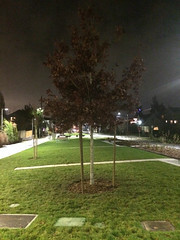 We’re happy to report that the 14th Ave NW Park has reached a new milestone! In City of Seattle terms, it has just reached 90% Complete Street Improvement Plan (SIP). Engineering drawings are now available on the City’s website. When these drawings are approved by Seattle Department of Transportation and once contractors are hired, construction could begin as early as Spring 2016. If all goes well, we may just have a new park by Fall of 2016! What’s the park going to look like? The 14th Ave NW Park is going to be a 2 block linear park that runs along the east side of 14th Ave NW from NW 59th St to NW 61st St. The current sidewalks on the east side (for these 2 blocks) will be replaced with brand new 12′ wide concrete sidewalks that will be wide enough for walking and wheeled activities. The park will include rain gardens that will not only filter stormwater before entering Salmon Bay, but will also provide a buffer between park users and vehicle traffic. Vehicle traffic will run side by side on the west side (no longer separated by a median) between NW 59th and NW 61st. How are cars going to be diverted at NW 59th and NW 61st going north? Speed limit on 14th Ave NW between Market and NW 65th will drop down to 20 mph (today, it’s 30 mph). This significant drop in speed will allow for vehicle transition to be done at stop signs. There will most likely be a 4-way stop at NW 59th and another at NW 61st. If you are traveling north, you will stop at NW 59th, transition diagonally to the west alongside south bound vehicles and then stop again at NW 61st where you’ll transition back to the east side with vehicles separated by a median again. If you’re traveling south, you’ll stay in the same lane along 14th and will stop at NW 61st and NW 59th. Pedestrian scale lighting, will be provided along the 2 block park that should provide adequate lighting of the walkway without affecting neighboring homes. The existing street-scale lighting will remain as well. It’s not clear what’s going to happen with the light between NW 59th and 60th that’s strung in the middle of the median. We’re pretty sure that’ll get replaced with pedestrian-scale lighting. What’s going on at the NW 60th intersection? The intersection at NW 60th will have a 4-way stop and will be raised to sidewalk level so that people driving across the intersection will encounter a bump up when approaching and a bump down when leaving. People walking or biking along the sidewalk through the intersection (north/south) will not experience an elevation change. There will also be bollards on the north and south sections of the intersection on the park side to provide a buffer from vehicles. Some existing trees will be removed and replaced with a mixture of larger and smaller trees where it makes sense. The significantly large tree near NW 59th on the east side will remain in place and accommodations will be made for its root system in the new sidewalk design. Will there be play structures? Not at this stage of the project. There will be a few grassy mounds to play/roll around on, plus the rain gardens will be accessible for learning and play. There will be grass space for lawn games as well. Once the park is complete and the community has played in it for a while AND there’s a strong interest for structured play equipment, this could be added at a later time. What about an offleash dog park? Sorry, no offleashing in this park. It’s really not big enough. You and your leashed dog will be more than welcome to enjoy the park! The latest permit drawings have to get approved by Seattle Department of Transportation. When they get approved, we’ll be at 100% SIP and the Parks Department will have the authority to go out for bid to contractors, which will hopefully be this Spring. Construction could start as early as Spring 2016 and the park could be complete by end of Fall. We’ll keep you posted as we learn more! Additional information about this park project and how to get in touch with our Parks Project manager can be found on the Parks Department website. You’re also welcome to contact us at the EBCA and we’ll do our best to get you the info you’re looking for. City Council Passed legislation for the 14th Ave NW Park! Did you feel that something momentous happened in the East Ballard neighborhood at about 2 PM yesterday afternoon? Well, that “something” came from the Seattle City Council meeting where they unanimously passed legislation to fund the 14th Ave NW Park! Thank-you to those from the neighborhood who attended the City Council Parks Subcommittee last week to show support. Jean Godden and crew voted to approve legislation at that meeting, but full council approval was also needed. That official approval came yesterday with a unanimous 8-0 vote. We now have funding to go out for bid once the Parks Dept and SDOT finalize design. SDOT’s Street Improvement Process (SIP) continues to be a big hurdle. The Parks Dept is stalled at reaching 60% completion of SIP right now and working with other City Departments to get the process moving forward again. We’ll continue to keep you updated on the process and are pleased that the momentum is in the forward direction! Tuesday Dec 2, 9:30 a.m. Please join the EBCA next Tuesday to show your support for the 14th Ave NW Park. Item 6 in the agenda for this City Council meeting will include a discussion and possible vote relating to transferring partial jurisdiction over a portion of 14th Ave NW between NW 59th and NW 61st from SDOT to the Parks Dept for neighborhood park purposes. 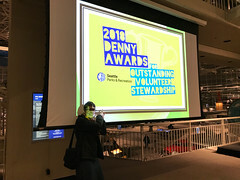 The discussion will also be whether to approve re-allocation of funding in the 2008 Parks and Green Spaces levy from the acquisition category to development category for a Ballard Urban Village Park. Your attendance and voice of support for the 14th Ave NW Park could have a positive influence on City Council’s decision. If City Council votes YES on this day, then the Parks Dept will be able to continue forward with design and have the funding from the levy available when needed to go out for bid on construction. A Yes vote will be a very critical milestone in the progress of the 14th Ave NW Park that the East Ballard community has been striving toward for almost 10 years!